In addition to one of the clear bags noted above, fans may also carry in a small clutch purse no larger than 4.5" x 6.5", with or without a handle or strap, subject to search. Small cameras, binoculars and cell phones are permitted if carried in loosely or in an approved clear bag. Seat cushions without pockets, zippers or concealable areas must not exceed 18 inches wide. There are no provisions to check prohibited bags or items at the stadium. Fans will be asked to either return prohibited items to parked vehicle, if they have not entered the stadium, or dispose of prohibited items at the gate. 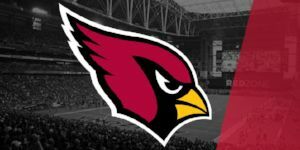 State Farm Stadium and the Arizona Cardinals are not responsible for items left behind, lost, stolen, or damaged. The first security check, a short distance from the gates, staff will visually check the size and type of all bags being carried in to ensure they meet NFL Clear Bag Policy requirements. At the second security check at an Access Control Point, the contents of all bags will be searched and all fans will be required to walk through a metal detector or be screened with a hand-held device. A small clutch purse or wallet no larger than 4.5"x 6.5"
Only one large clear bag and one small clutch purse will be admitted. Two large clear bags or two small clutch purses will not be admitted. Am I able to bring in food and beverage? Food and beverage items for infants two years of age or younger. Make sure that any bags or containers being carried in meet NFL Clear Bag policy guidelines. Yes. Binoculars, a phone or camera can be carried into State Farm Stadium so long as it is not in its own bag. This is not a restriction on items that fans can bring into the stadium, it is only a restriction on the type of container carring items. Diapers and wipes can be carried in approved clear bags. Diaper bags are not permitted. Yes. One-piece, foam seat cushions without pockets, zippers or concealable areas no larger than 18" are permitted. Can blankets be carried into the stadium? Yes. Guests should hang blankets over their shoulder or arm so that they can be easily screened. The designated entrance for medically necessary items is the ADA Access Control Point at Gate 2 conducts special screenings of these bags for each event at State Farm Stadium.